Formation Media are a cutting-edge digital marketing and website design agency with a nationwide reach, based out of the unassuming but historic town of Warwick. We’re a collective of sharpened experts in storytelling and user experience. We develop brilliant digital projects for our clients - this includes: software and website design & development, branding, graphic design, marketing, social media and more. As a business owner, you’re continuously looking for more time – more time to manage your business, more time to focus on the business-critical issues and more time for yourself. We understand that time is as important as money for a business owner: we know your priority is focused on production and innovation and that’s why Formation is here to handle your digital development. We are innovative, award-winning and we push boundaries in design and development, inventive to new products and services, we have a desire to be the best and have the reputation as such. We appreciate this is gained by supporting clients and producing the highest quality of work. Formation are pro-active, not reactive. We challenge the status quo. Just because it’s always done one way doesn’t make it the best way! We constantly improve; we do this by being flexible, going the extra mile to get the client what they need. We have experience of a wide range of sectors and cross-reference advice and good business practice. Our thought process is the small client is our next big client. We respect each other and our joint skill-sets, we are a team, thus support each other with shared knowledge and good practice. We are proud of what we have achieved and positively encourage growth, we support our local community and engage with local businesses through our networking and training opportunities. We are hard working, we all agree and sign our Formation values, we confront team members if they lose track of our ambitions and service, we are confident in our abilities to support and grow clients businesses, we understand clients needs, however we debate required change and are confident to challenge as and when required. The company was initially based at Warwick District Council’s Enterprise Hub in Leamington. Established as a graphic design agency, soon realising clients wished to have a supported online presence, we commenced as any other agency does by completing the imagery and designs then outsourcing the coding and development, this caused great problems, due to the lack of control and the poor standard of development. The business soon out grew the offices in Warwick’s Enterprise Hub and relocated to Coten End, Warwick, where its first members of staff were employed and from then on, all work undertaken was created in house. In 2011 the company relocated again to Smith Street, Warwick, having gone from strength to strength. Having moved three times in the last three years, it was clear we were quickly growing in numbers as well as expertise and weren’t planning on stopping anytime soon. 2013 saw us create an abundance of responsive websites for happy clients, produce numerous pieces of bespoke artwork to support local companies and work on a 300-page printed project! With the team expanding quickly and business continuously increasing, we were over the moon when our fearless leader won the award of Best Business Person at the Touch FM – Pride of Warwick District awards, rewarding his tireless efforts to expand services and grow the business. With our previous premises bursting at the seams, we decided to move to a much larger premise to house our current team and accommodate further growth. A modern open plan studio featuring glass meeting rooms and a newly developed UX Factory, we’re certainly proud of our new home. All at Formation are valued, team members are encouraged to have a career here, with security and all the benefits that this commitment brings, we are honest, respectful of our clients, with a hunger to be the best at all we do for self and clients alike. Martin has over 30 years management experience, and is a graduate of Goldman Sachs, Aston University. Latest achievements include winning Warwickshire Business Person of the Year 2015 and completing a 500K London to Paris Cycle Challenge for charity. Dave has worked at design agencies and large colour printers in the Midlands, with over 30 years experience of print and website design and currently heads up the production teams and operational roles of the business. Jason has an honours degree in web development and is an expert in programming and software architecture. Jason loves everything "Sony", so if you need advice on 4K, you know who to ask! A degree in economics helps sort the most tangled Invoices & helps support all clients accounts. Eva enjoys reading, red wine and hitting the gym (not necessarily in that order). With a degree in Drama and Performance and postgraduate experience in administration, Lisa is keen to learn and develop skills in digital marketing. She’s a keen festivalgoer, enjoys watching Kirstie and Phil in Location, Location, Location and purchasing animal themed paraphernalia for her home. 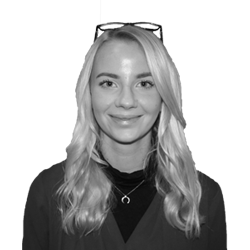 With a master’s degree in Management & Finance and a wealth of experience working in medical communications and marketing agencies, Hattie has joined the team as our Key Account Manager and Head of Marketing & Accounts. In her spare time, you will find her with her nose in a Mary Berry, at the gym working off the results, or chasing her lurcher around the Cotswold hills. 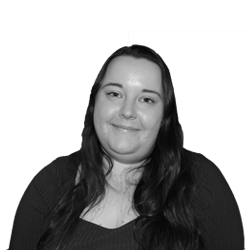 Sophie, has just completed and successfully attained her design degree and is currently supporting Formation's e-commerce website development team. 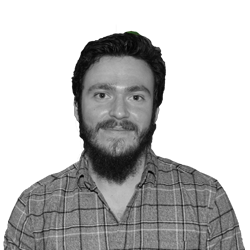 Ethan has a degree in English Literature and is eager to bring his passion for writing into the digital marketing world. In his downtime, you’ll probably find him reading a good book or watching a Nicolas Cage film. At 6 foot 4, "the long one" brings a new wave of creativity to the team. Outside of designing signage, websites, logos, brochures or whatever comes his way, Dan is a massive NFL fan and keen badminton player. A multidisciplinary graphic designer for more than a decade, an enthusiast in good food, pale ales and custom-tailored clothes. Passionate about tech, software and keeping up with the latest trends in web. Avid Liverpool fan. Token Black Country representative! When fish tank cleaning duties are completed, Simon enjoys a spot of website development. He has a keen interest in all of the latest technology standards and loves anything car related. Fun fact: Simon can complete a Rubik’s cube in 40 seconds! Web Developer, Ski Instructor and loves all things Japanese. Anthony has a HND and a National Diploma in Multimedia and is a good “all rounder”, with technical skill in composing video and animation. No matter how big the job... Anthony will plough through it, and still be smiling at the end! Scott left university with a degree in History and went straight into writing content for an automotive publication. Keen to develop skills in copywriting and digital marketing he recently joined the Formation team as a junior copywriter. Scott fills his spare time with more writing and punk rock. I’m Sabrina and I’m currently a third-year student at Coventry University, studying English and Creative Writing. As an English student, half my time is spent with my head buried in a book, and the other half is spent attempting to write my own. My other passion in life is the pursuit of petting all the cats and dogs I encounter. Give us 30 minutes of your time to see how we can transform your business.